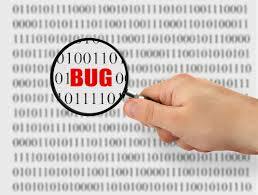 In this post we are going to see a small introduction about Software Testing. Generally testing means checking any product like TV or computer or anything to make sure whether it is satisfying all it’s features before buying it. It is the general meaning of testing. Checking the functionality of the application whether it is working according to the requirements or not. Checking the application with an intention to find the bugs in the application. Mainly, there are 2 types of testings in Software Testing. Testing the application manually without using any tools is known as Manual Testing. Here tools are nothing but some soft-wares. Testing the application with the help of some tools is known as Automation testing. Why SQL is Needed in Testing? These are the topics that are most important in Manual Testing. We will discuss them more detailed in next posts.